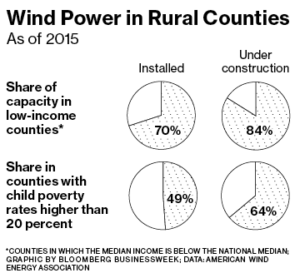 Wind energy, the fastest-growing source of electricity in the U.S., is transforming low-income rural areas in ways not seen since the federal government gave land to homesteaders 150 years ago. As commodity prices threaten to reach decade lows and farmers struggle to meet debt payments, wind has become the newest cash crop, saving family farms across a wide swath of the heartland. Agriculture Secretary Tom Vilsack talks expanding economic opportunities in rural America, World-Herald Bureau. In particular, he talked about the need to continue supporting renewable fuels and the bio-based industry. A new report says that industry contributes $393 billion to the economy, he said, adding that it has helped rural areas recover from the Great Recession by supporting 4.2 million jobs. 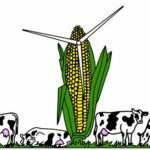 This entry was posted in Nebraska / Midwest News, NewsBlog and tagged Bloomberg Businessweek, Center for Rural Affairs, Des Moines Register, Lincoln Journal Star, Midwest Energy News, renewable energy & economic development in rural America, World-Herald Bureau on October 7, 2016 by Helen Deffenbacher.